Although this represents the broad steps in our Recruitment Process however each time it is customized based on client needs. Staffing Prime Ltd. understands that your employees are your most prized asset, and feel honored being entrusted with such a significant accountability. Therefore, will go to any scope necessary, to uphold the assurance that you, our clients, place in us. 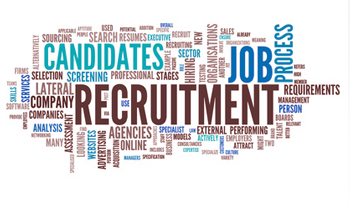 Staffing Prime follow a stringent recruitment procedure to ensure that your venture is well preserved. The result focused process from start to finish, is comprehensive, methodical and organized. Staffing Prime consider among the most important steps that determine our eventual performance. Our HR experts take a proactive approach for an in-depth analysis of the employer’s exact needs. Besides the skills being sought, understanding the role and responsibilities that the candidate would be accountable for, is a significant part of our client requirement analysis. We do a detailed review of all aspects of the company; including the components of its business activities, work-culture and industry practices, to make our candidate selection full proof. Copyright © 2016 Staffing Prime Ltd. All Rights Reserved.